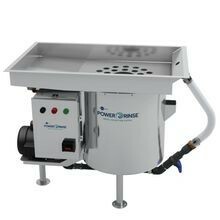 InSinkerator PRP PowerRinse, Pot/Pan (Model PRP) - Complete Waste Collection System Package. 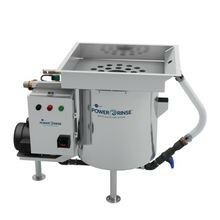 Requires only 1 GPM (3.79 LPM) of fresh water per hour. 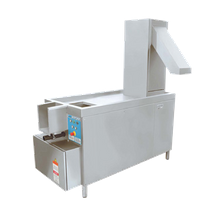 Waste pulpers/ extractors are more than an oversized garbage disposal; waste pulpers/extractors are designed to grind up not only solid food waste, but also disposable utensils, napkins, and small pieces of paper, such as condiment packets and straw wrappers. While liquid waste continues on, down through the plumbing, the remaining solid waste is pulverized and reduced to practically nothing but a pulp that is easy to dispose. 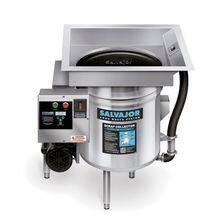 Invest in a commercial pulper/ extractor and see a drastic reduction in commercial kitchen waste. 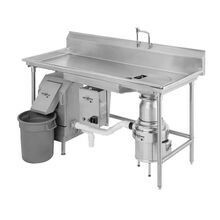 © 2000-2019 Singer Foodservice Equipment and Supplies Company - All Rights Reserved.